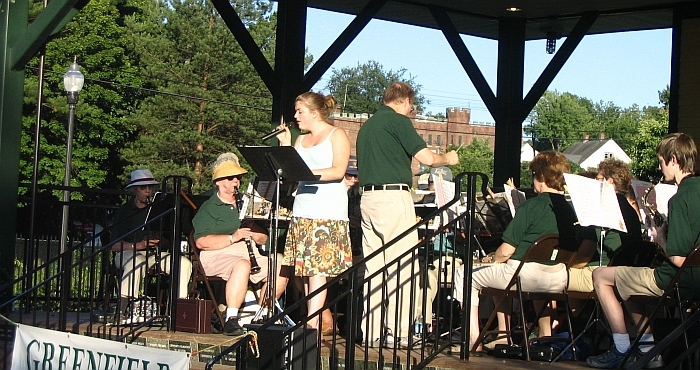 Greenfield High School student Cayla Plasse, guest soloist at July 15, 2008 concert. The 2019 schedule includes 16 concerts. All concerts are free, though donations are accepted and appreciated. Every concert is different. Selections are drawn from marches, jazz favorites, show tunes, and popular music genres. What better way to spend a July evening than experiencing a band concert in the park? Be sure to bring your own chair.